VJ Books Presents Author Sandra Bark! Sandra Bark is a New York Times bestselling author who partners with experts and icons to create books that teach, share, and inspire. Sandra works across a range of subjects, from science and health to food, style, and travel. 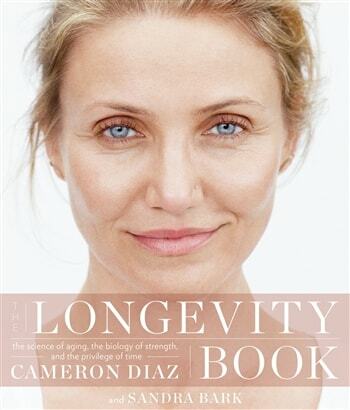 She partnered with Cameron Diaz to write THE BODY BOOK, the primer on women's health and biology that became a #1 bestseller. She worked with nutritionist and trainer Marco Borges on the bestselling health and food book THE 22 DAY REVOLUTION, a primer on plant-based eating. She collaborated with Daphne Oz, of ABC's The Chew, to write the bestselling cooking and advice book RELISH. She wrote three bestselling books with tattoo artist Kat von D that are rich with images and stories, and worked with iconic stylist Lori Goldstein to tell the stories behind three decades of fashion images in STYLE IS INSTINCT. To communicate her clients' ideas, Sandra immerses herself in their worlds. She spent six months training with fitness expert Tracy Anderson. She drank delicious juice for days. She learned cellular biology and got to watch a gene-splitting machine in action at the National Institute of Health. Her projects have taken her from Maui to Helsinki to Washington DC, from a Tribeca fitness studio to a tattoo shop in Hollywood, from fashion shoots to comedy clubs, from university campuses to cutting-edge research centers. Bark is based in Los Angeles and New York City. Author Signed Hardcover Book April 2016 NY: Harper Wave First edition, first printing, mint, new/unread in a flawless dust jacket, signed by author. Each dust jacket is protected in an acid-free archival quality acetate cover.